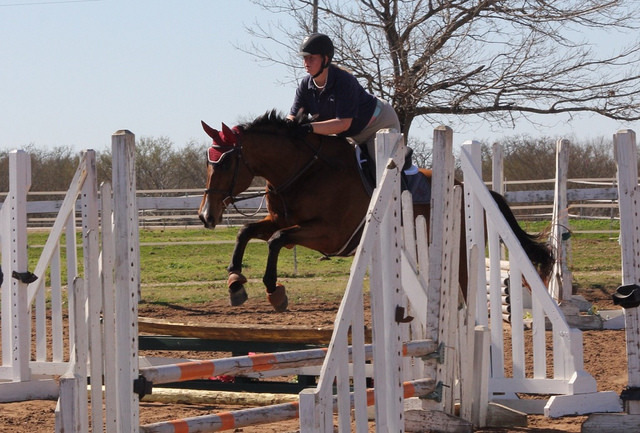 Due to Austin’s “Snowpacalypse 2014” last week mixed with spending all day playing cross country on Saturday, Mr. Simon hadn’t been ridden in three days before my lesson on Sunday. 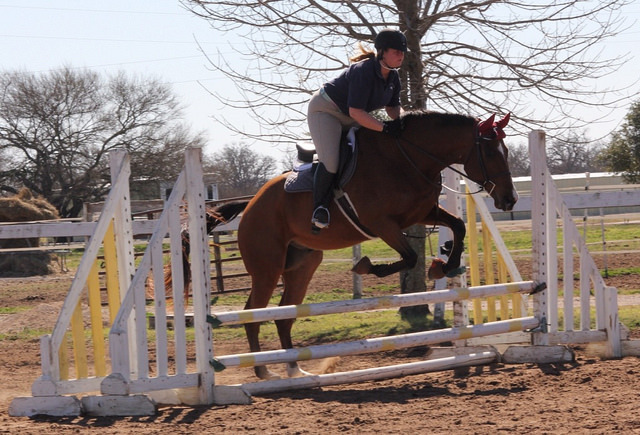 On top of a fresh pony, the wind was nuts so I knew I was in for a bit of a wild ride. The lesson started off with building some gymnastics. 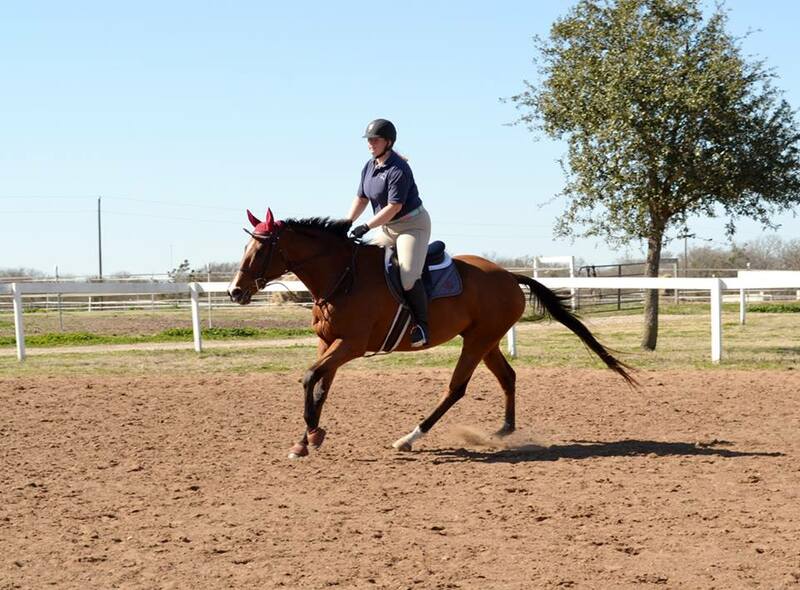 Trot in to a one stride to a one stride to a two stride. At first, Simon was alllll about the gymnastic and was attacking the cross rails with lots of gusto. After a few times through the gymnastics and lots of ‘Whoa buddy’ ‘easy boy’s, fire breathing dragon IMMAJUMPERONY was back to more or less my usual Simon. 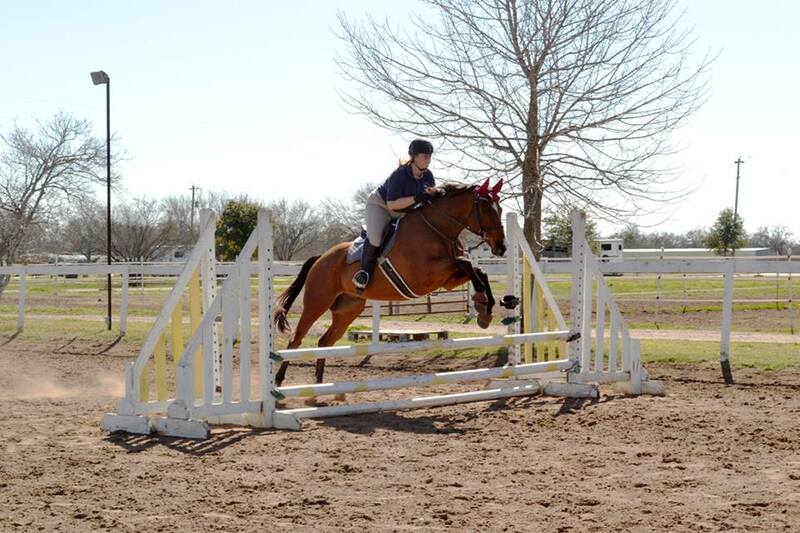 He was still loving life but much less like a jumping junkie who needed his fix. After a few rounds of gymnastics only, we added a small fence off the left lead. He was still pretty fresh, and was used to halting in the corner after the gymnastic so our first couple of go’s he had no idea I wanted a change in the corner. We did some lovely halt, twisty walk canter departure… but it wasn’t a big deal. 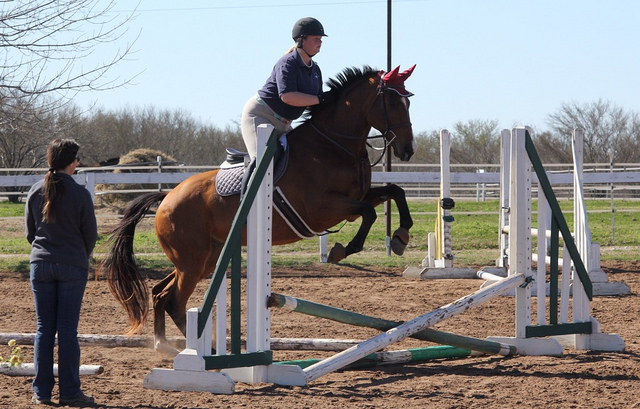 With each round the green oxer grew, but the real challenge was what came after. On the outside line, there was a three stride to a one stride set up. That may not seem like a big deal, but we almost always do the adds. Doing the adds in a one stride? Not a good idea. 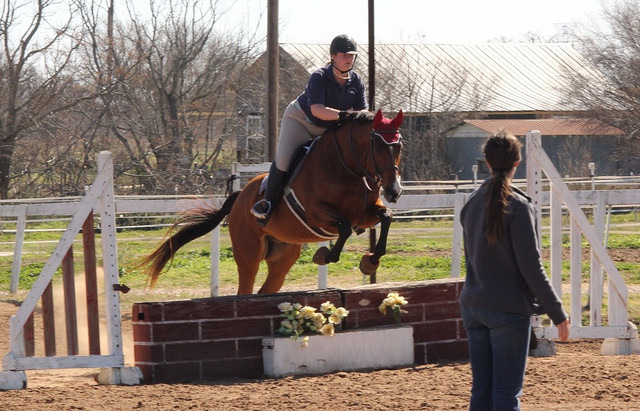 Since doing the horse stride is something we’re really trying to get Simon to relax and do this year, my trainer had us approach the line with the goal of doing the horse strides. The first time through, Simon was like “oh really… are you sure I should jump now… well I think it’s safer to probably squeeze one more in here.” Even though we could have done the strides, I chose to do sit and do nothing… so we added in both the three and the one and it wasn’t pretty. The next time through I was much more proactive. 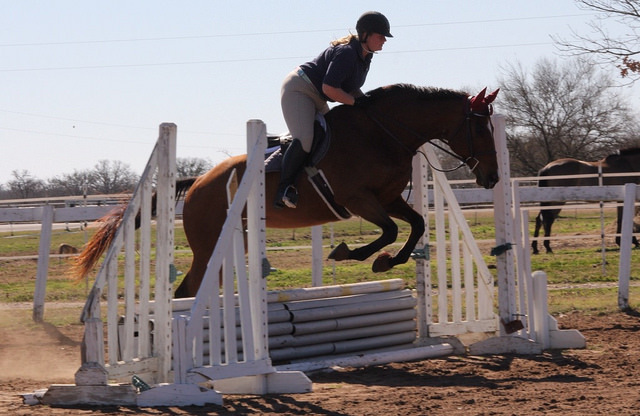 On the first fence I added leg to encourage him to jump across instead of just up and down, and then instead of perching like an idiot on the three stride I sat up and added leg. Results were much better! We got the strides on both the three and the one. Definitely okay buddy! We did the correct strides 2-3 times and then called it a day on a high note. 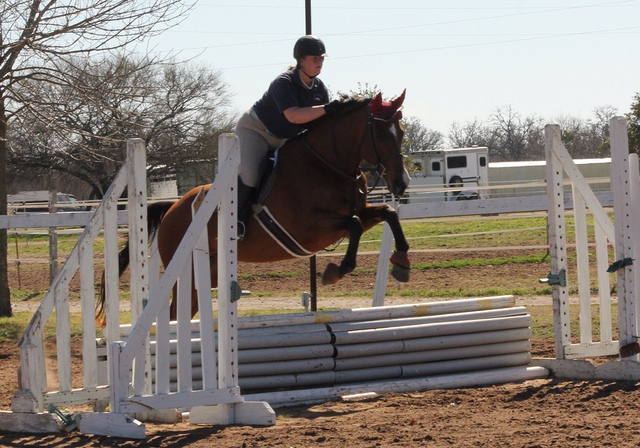 Each time he got better, and I don’t doubt we’ll be doing the horse strides down all the lines sometime this year… but we’ll go slow and re-train both Simon and myself that this is what’s right. The pace we need is a lot more to get down the lines, and it’s going to take some getting used to for me not to feel like we’re going 100 mph. But it gets better the second time. What started off less than ideal ended up being a really, really good lesson! I love it when that happens 🙂 Plus, the crazy winds gave me an excuse to put a bonnet on Simon… and we all know I love an excuse for a good bonnet! Sounds like a GREAT lesson! What fun! Omg Simon is looking so phat I’d think he’s a WB! You are looking truly amazing and solid too. I REALLY see the difference. Your position is getting really solid and your confidence much better! 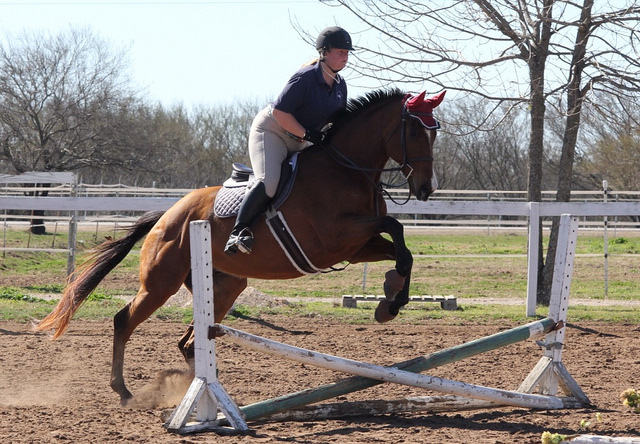 It looks like Simon is fast legged and short strided like my old quarter horse, so it makes the horse strides really difficult. I’m sure the more you work on it the more he’ll figure out how to lengthen without speeding up though! (Maybe some cavaletti even?) But seriously so happy to see you all looking so great! That he is. 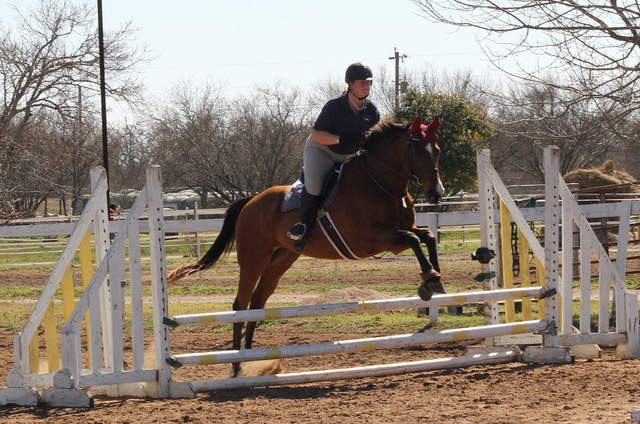 For a biggish horse (16.2), he doesn’t have a long stride at all. Top that with me teaching him to jump up and down and do the adds… and well, it’s going to take some time. 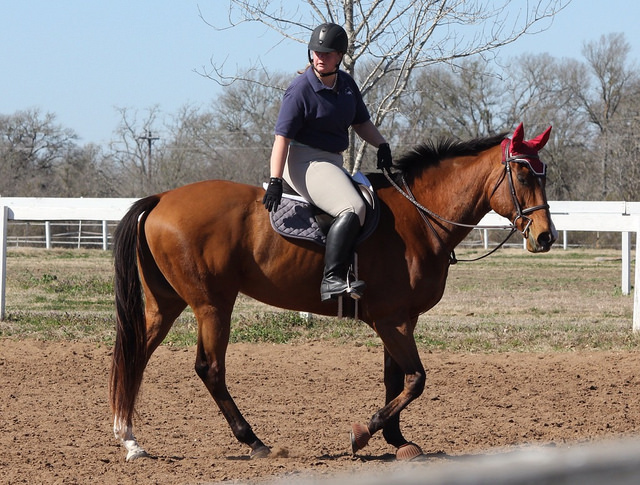 My trainer is working on lengthening with him and I’m confident we can do it eventually, but we’ll never have the slow trolling pace that some of the longer strided horses will carry. Yay! Dealing with the faster pace needed for the strides is tough… and it kinda feels like you’re running at first, but you’ll both get there and become comfortable with it in time. True statement. I feel like we’ve switched to steeplechasing. Simon looks awesome and totally game!! I also agree that he’s looking WB-ish, he looks great. 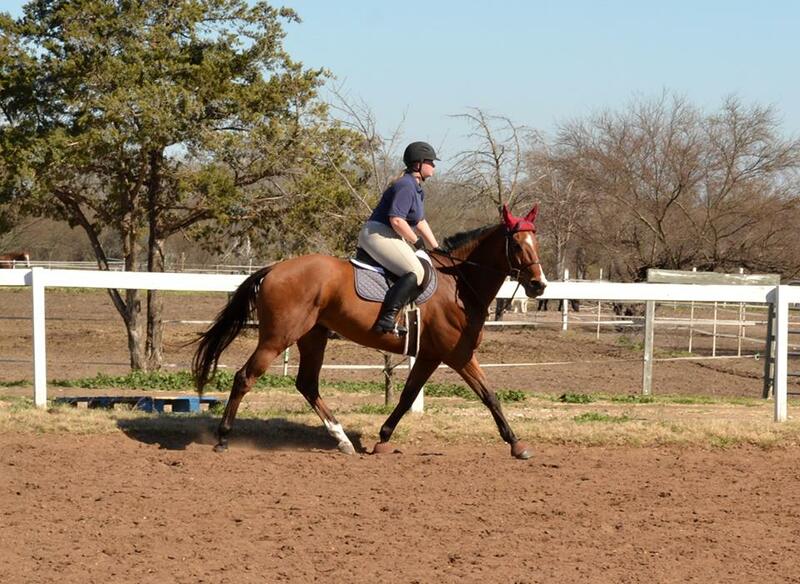 A friend of mine had a similar problem, she has an appendix gelding with a short-ish stride for hunters and big eq. classes. 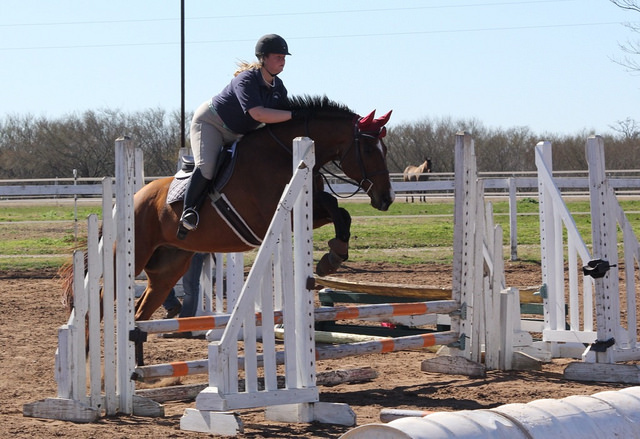 Over time she was able to really open him up though, and now he makes the horse strides look like no big deal. Most people are surprised to see how little he is when he walks out of the ring. That gives me some hope 🙂 I think, like most things, it will be time + relaxation that will help him come around with the strides. Dawww bonneted Simon is adorable! Simon really looks like he’s having a blast! Can’t wait to see what this year of showing brings for you two! You’ve come so far and continue to look more and more awesome! You guys look awesome! I always love Simon’s expression. So cute! 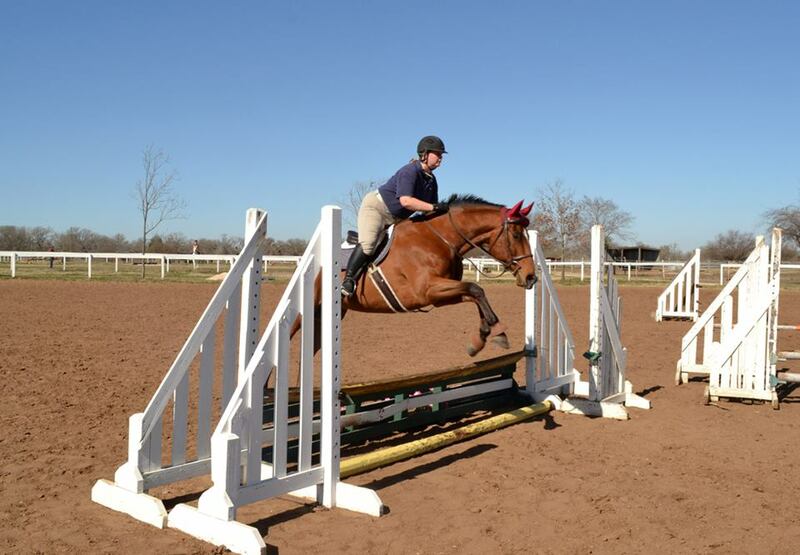 So exciting for him to be working on the real horse strides! I know you guys can do it, and you look awesome! 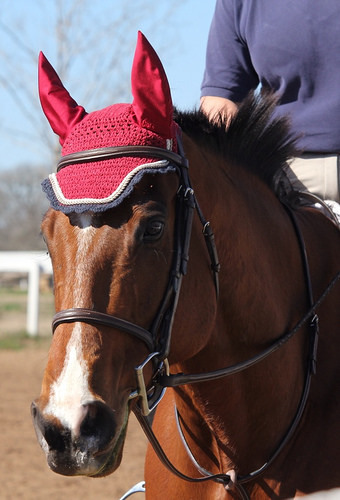 Yeah, his momma finally decided to buck up and go to the tack store to get him some new things. You look a million times more confident and Simon is so game… like, “OK mom, this is kinda fast, but whatever you want!” ROCK ON. Love pictures! Love video! You guys look great, even when it’s not perfect! I too have to get comfortable going faster. 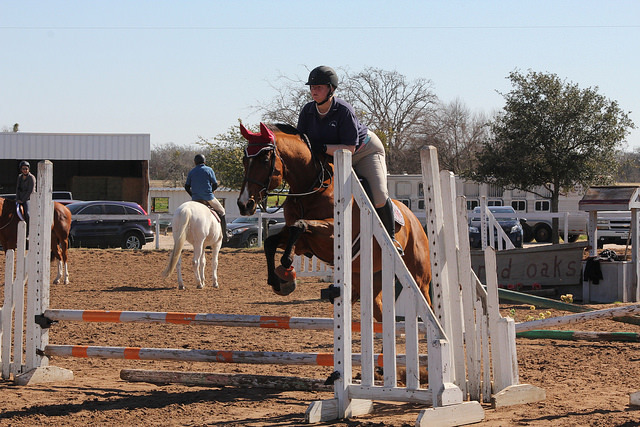 Easy on the flat, but not so much over jumps! You guys are looking so great! 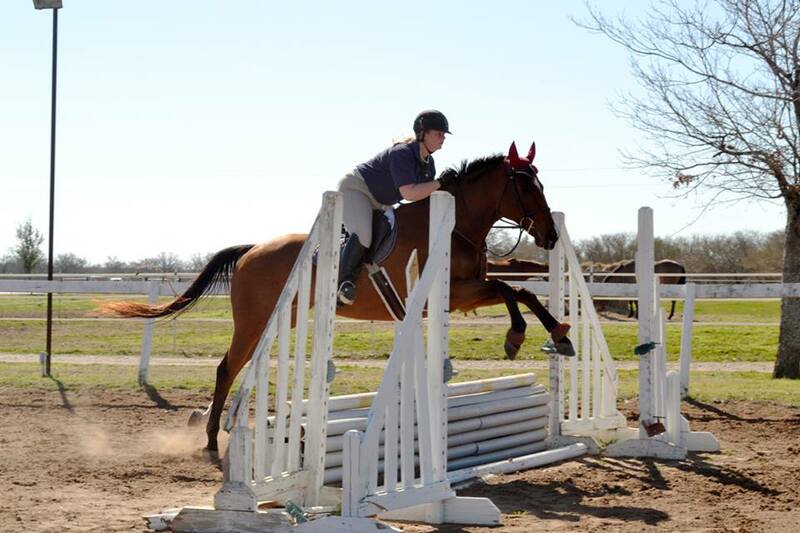 It’s easy to see you’ve both gained quite a bit of confidence and your lower leg is looking rock solid! Great job! Simonpants is getting some STYLE! Look at you guys go! You guys are rockin it out through that last line!